You’ve got to go big if you want to attract attention. 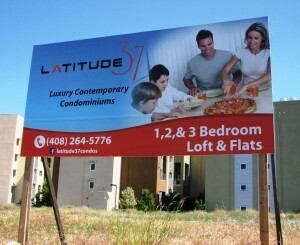 Latitude 37 contemporary condominiums needed large high resolution signs to advertise their condo units. 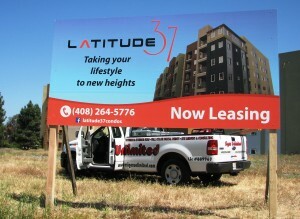 So they approached Signs Unlimited for our professional services. We helped design and produce highly visible rich color graphics and the panel signs. 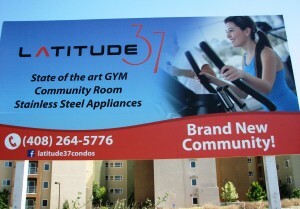 We installed them on their empty field right next to the condo units. 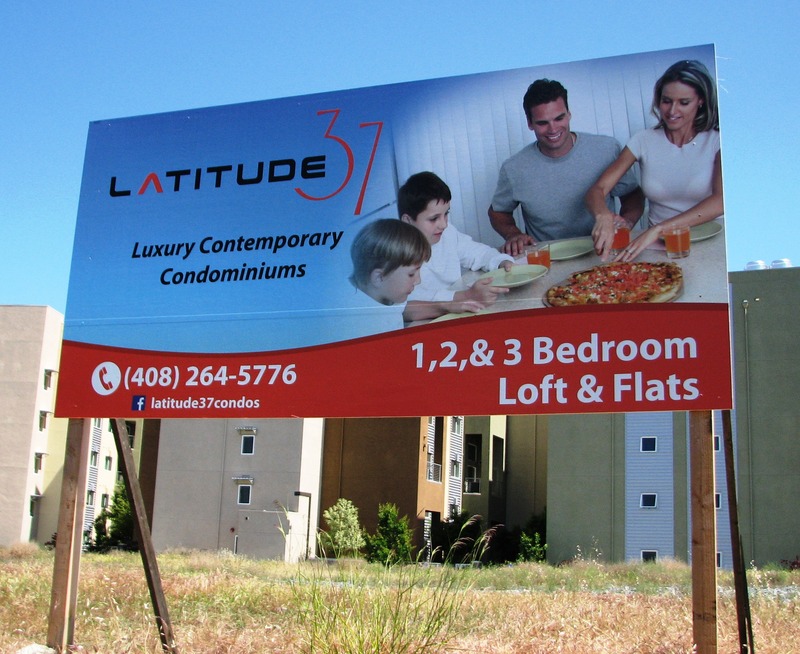 These are 4’x8′ panel signs with laminated Eco-solvent high-res digital prints, with supporting beams to help keep them in place. 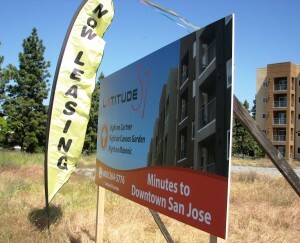 Here are a few pictures of the signs completed. Please call us now at 408-224-2800 or email at sales@esignsunlimited.com to consult with us about you new signs.